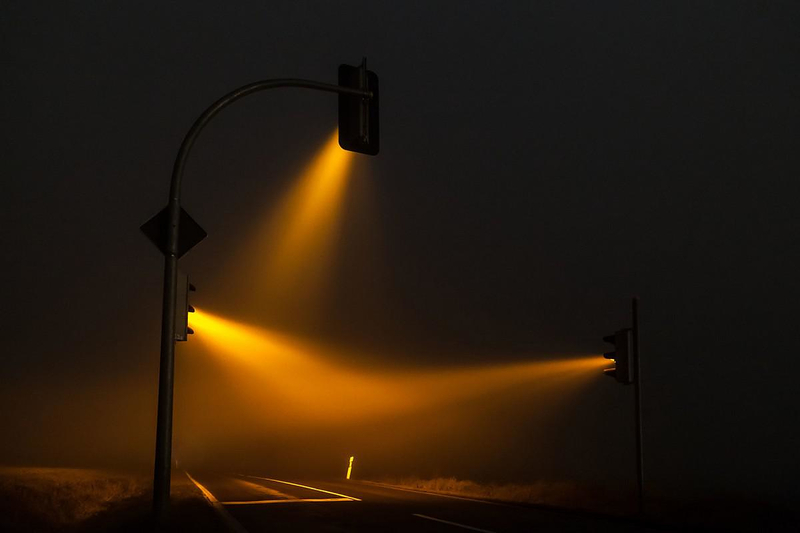 HomeBlogArtMisty Traffic Lights photography by Lucas Zimmermann. 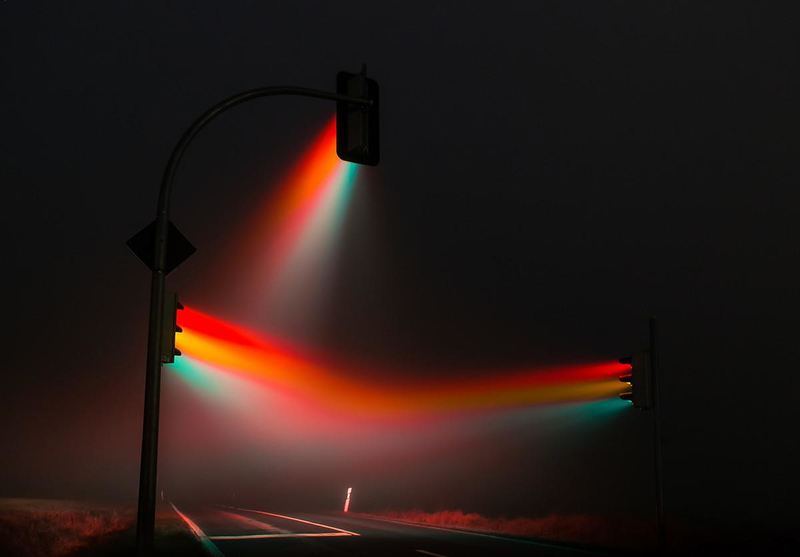 Lucas Zimmermann is a young German photographer whose stunning artistic traffic lights photography presents traffic lights illuminating a foggy night somewhere near Weimar, Germany. With “Traffic Lights” despite the ordinary theme, Zimmermann accomplishes a difficult task and creates impressive not ordinary images full of color and an alluring out-of-this-world atmosphere. As all the colors and lights melt together, your eye is drawn further and further into the photographs. 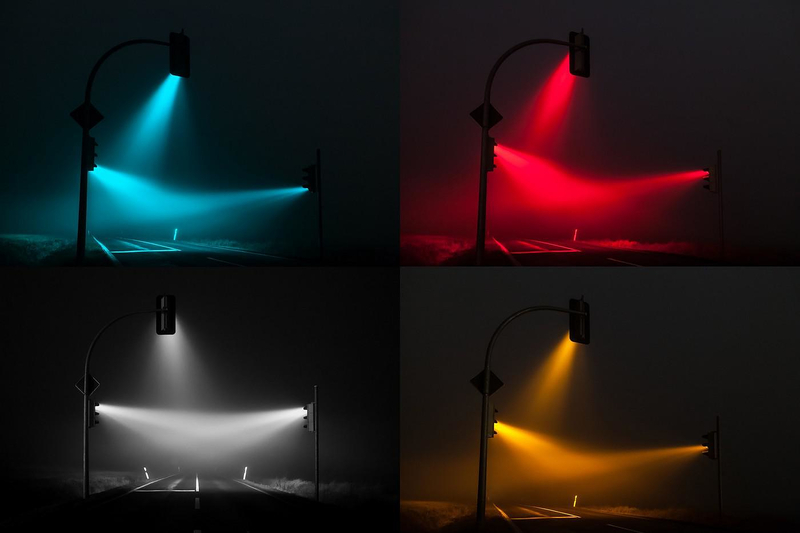 In shades of electric blue, ruby red and black and white, Lucas Zimmermann transforms mundane traffic lights in Weimar, into an enchanting light show. The project is simple in concept, but absolutely beautiful in execution. 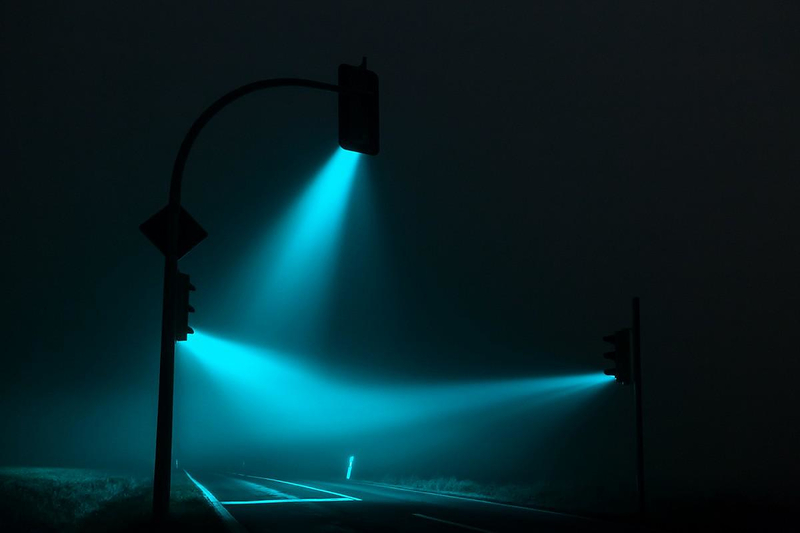 Everything began when Lucas, in his early 20s, was driving through the night when he saw the lights. 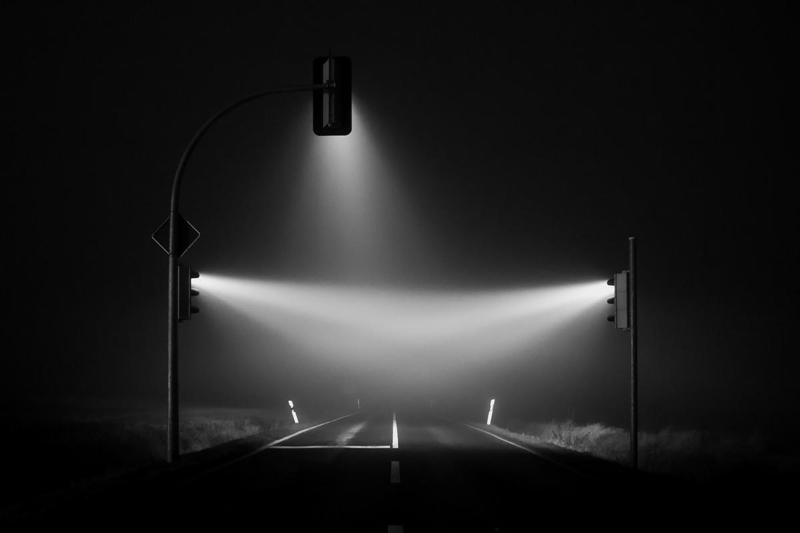 He set up his camera and took long exposures between 5 and 30 seconds to capture the beams shinning into the distance. Lucas says, seeing it was easier than capturing it and he had to experiment with many different shutter speeds. 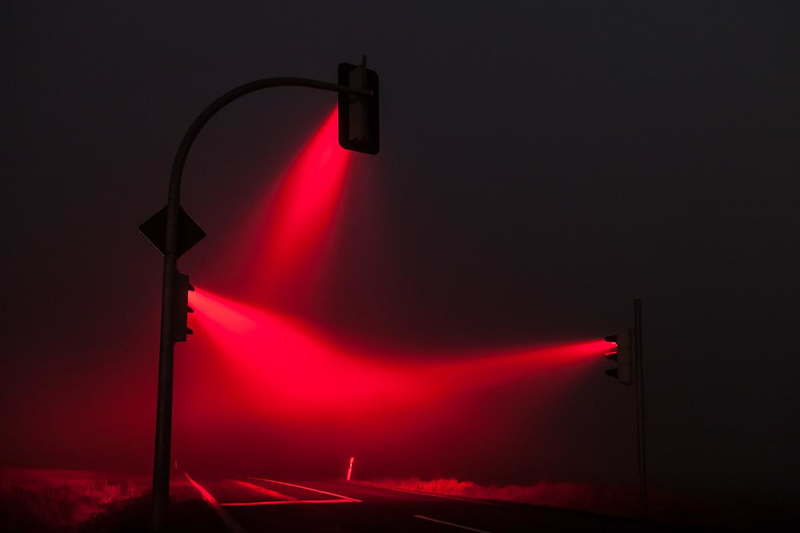 He also had to watch out for speeding cars, often waiting for several minutes between shots of the same set-up because each car had a profound effect on the exposure and color due to the fog.